Steveworks, LLC is a residential remodeling company with an emphasis on craftsmanship, design and sustainability. A family-owned business, we thrive on solving--and preventing!--problems, delighting our clients, providing great value, and having fun in the process. At Steveworks, we expect all our jobs to exemplify craftsmanship, durability, and value. These principles are important to the customers who frequently come back to us or pass us along to new clients, and they are the pillars of sustainable building. Being sustainable requires us to take into account energy performance, the sources and quantity of materials and resources, and how often those materials or other parts of your home will last. We believe quality craftsmanship, durability, value, and sustainability can all be implemented with a practical approach that will fit in any budget. We believe that our experience in the construction industry combined with our work ethic, fair pricing and reputation for being reliable is what sets us apart. Please call us for a free estimate! Award-winning architectural design services in Massachusetts and throughout New England. We love what we do! At GMT Home Designs we work with both homeowners and contractors to provide residential design and consulting services including design/build, design consultation, custom homes, additions, remodels, kitchens, baths and more. We transform our customers' visions into creative and practical realities, combining time-tested design practices with state-of-the-art technologies. Our 3D renderings help our clients truly envision the end result of their dream. 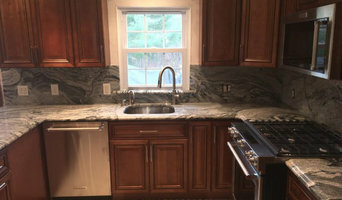 Payne/Bouchier proudly builds, restores & renovates fine homes throughout New England. For 25+ years, we've partnered with clients and designers to deliver excellence and fine craftsmanship. Fresh Start Contracting is a general contracting firm specializing in renovations for your most valuable asset, your home! Our high standards have created the company we are today. 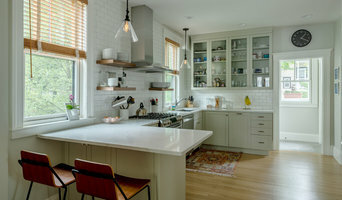 Jensen Hus (formerly Dishington Construction inc) Is a design build firm specializing in distinctive and modern homes, additions, and kitchen/bathroom renovation projects throughout the metro Boston area. We love to work on complex and cutting-edge renovations and design/build construction projects. We provide our clients with more affordable, sustainable and smarter homes. Award-Winning Interior Design Company | 4x Best of Houzz! At Interiology Design Co., we create exquisite interiors to exacting standards, transforming our clients’ homes and enhancing their lives. We are an architectural firm in Cambridge, MA, designing new houses and renovating existing homes anywhere a client will take us. We are flexible, diligent, detail oriented and we love what we do. Charles Rose Architects has created award-winning residences across the United States. The firm is known for its innovative integration of architecture and landscape. We are a design/build firm with 30 yrs of experience creating renovations & additions for our homeowners. Our goal is to create spaces that enhance our clients' lifestyles! Call us for your project! Spectacular-Spaces Designs is a full service Interior Design firm that for our fourteen years in business, focuses on creating beautiful spaces that reflect the lifestyle & personality of our clients. Luke McKneally Architect provides passive house performance architecture that is affordable, elegant, sustainable, contextual, and appropriate to your needs. At dEmios, we believe that the built environment has a huge impact on our lives and we want to help make that impact positive for everyone. We work with budgets and projects of all sizes. Lisa Tharp Interior Architecture + Design + Build. Transforming luxury properties in Boston and beyond. Interiors that inspire a well-lived life. A proprietary approach uncovers clients' own definitions of luxury, comfort, function and more — resulting in interiors that reflect their personality and inspire the art of living well. Commissions include city residences, country houses and coastal retreats. A full-service team of design, project management and finance talent support the vision and bring each plan to life with excellence. Collaborations with trusted builders, architects, artisans and makers enable a cohesive vision throughout each project, from new construction and renovations to the last furnishings detail. Services include design practices that are healthy for people + the planet, which Tharp showcased in her award-winning Concord Green Healthy Home. Julia Miner Studio is an award-winning architecture firm that combines modern sensibilities with regional New England vernacular. LeBlanc Design Interiors Founded by Tiffany LeBlanc in 2005, the Boston interior design firm recently relocated to the city’s SoWa Design District. They are known for creating gracious architectural interiors that radiate warmth, harmony, and comfort. As a full-service Boston interior design firm, Tiffany and her team handle all aspects of the design process from schematics to final installation. Alan Christ Architects is a full-service architecture practice in Brookline, Massachusetts specializing in single-family residences, multi-family housing, and institutional projects. We are a boutique interior design firm that focuses on Contemporary Custom Interiors for discerning clients that value good design. 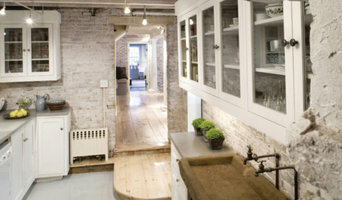 Its a highly intuitive process where we bring out the core values of your home through our design decisions. With 20 years of experience in the industry, we are able to provide custom solutions that we oversee until completion. After the Design Development, Project Management is a key component of our services that ensures the end product is synonymous with the design intent. We work with Contractors to problem solve in real time during construction. If you are looking for a Design team that is pushing creative boundaries and manages processes till the end, we look forward to working with you! Boston Prism Gold Medal Award Winning Renovation Firm Best of Houzz! As a company of passionate and trusted professionals we see every new project as a unique opportunity to realize the full potential of our clients’ home. *Project Inquiries* Please contact us at 508-435-1280 or design@cehomesinc.com Cutting Edge Homes Architects + Builders thinks differently. We are an award winning boutique firm, with fully integrated architecture and construction - providing single source accountability. We carefully guide our clients through every step of the process from site evaluation and permitting to architecture and interior design to construction and landscape. This all-inclusive approach for projects of all size begins with listening to our client's vision and needs, and then executing that vision to yield a truly exceptional product on time and on budget. Creative Design. Quality Craftsmanship. Steveworks, LLC is a residential remodeling company with an emphasis on craftsmanship, design and sustainability. A family-owned business, we thrive on solving--and preventing!--problems.